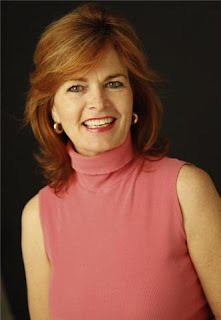 Paula McChesney and Sandy Peckinpah Invite you to listen in on their radio show! Our first guest is KIRKOR KOCEK, PRESIDENT OF KOCEK JEWELER INC., began his apprenticeship in the art of jewelry design and manufacture at the age of 12 in Istanbul, Turkey. He is trained in all aspects of jewelry production, including wax carving, casting and hand fabrication. He is a master metalsmith who produces jewelry in yellow gold, white gold and platinum. A few of his areas of expertise include anticlastic manufacture and granulation techniques. Mr. Kocek travels extensively and has a large vendor base, allowing him to be highly competitive in his pricing. Kocek Jeweler Inc., a California corporation listed with Dunn & Bradstreet and rated by the Jewelers Board of Trade was established in March 1973. Kocek Jeweler Inc. is affiliated with the National Association of Jewelry Appraisers, Appraisers Association of America Inc., International Society of Appraisers and California Jewelers Association. 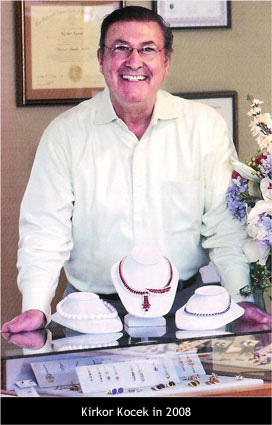 To learn more about Mr. Kocek visit his website at http://www.kocekjeweler.com/. The second part of the show will be our very own Paula McChesney talking about Beautiful Bedrooms for Brides - designing bedrooms for a passionate life. Passion by Design offers you, your family and guests the oppurtunity to provide you with a unique and lasting wedding gift that sets the stage for your love to flourish and grow. Complete your wedding experience - a beautifully customized bedroom of your dreams in your own home. Desgined with you in mind - to help you live a Happly ever after! while creating a drop-dead gorgeous bedroom! can attract everything you want in life! Passion by Design is a system that guides the readers through the process of igniting their love relationship by cultivating and incorporating the senses in developing their own personal fantasies while designing a drop-dead gorgeous bedroom. Does the reader crave the elegance and old-world charm of a Parisian apartment, the breezy pleasures of a tropical getaway, the sultry, exotic lair of a Moroccan escape? From simple to sumptuous…this is a fun, playful, and exciting system for creating a more romantic, beautiful life and surroundings.